At Camerons Welding and Industrial, we’re committed to making sure you have the right equipment for the job. Which is why we offer a range of welding and industrial equipment that’s been carefully selected for its quality, reliability and ease of use. And we’ll be there for you when you need us, working with you directly to make sure you get the most out of your tools and every outcome meets the standard your customers expect from your business. We have a quality range of welding and industrial equipment steel and other metal products in stock, along with a selection of compatible accessories. For everything else, you can rely on our express ordering service. The team at Camerons Welding and Industrial can do a lot more than recommend the right equipment for your welding needs. We pride ourselves on providing service that goes far beyond just sales. Our team know their products and how to use them. And they’re always happy to share their experience. All have extensive trade backgrounds are ready to give you the time and advice you need so you get professional results out of every item of welding equipment or accessories. We even have our own dedicated training space where you can spend time learning one-on-one with a dedicated welding expert. 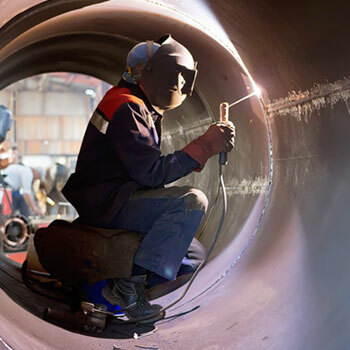 It’s just one of the reasons why Camerons Welding and Industrial is the destination of choice for every welder in central and western Victoria.